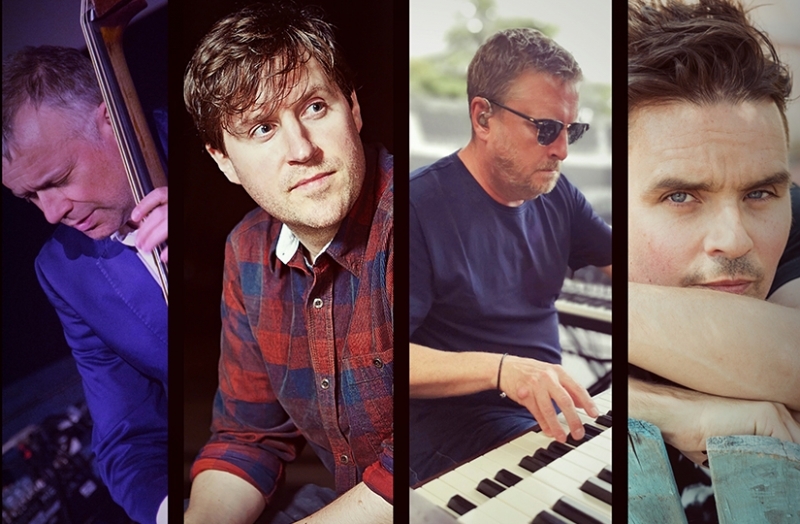 It is with enormous pleasure that we welcome this evening pianist Mark Edwards and saxophonist Ben Castle along with bass player Arnie Somogyi and drummer Darren Beckett. Mark's fluent and creative playing has been heard in a wide variety of settings, from work at the Club with drummer Bryan Spring and his own band The Cloggz, through regular appearances with International jazz artists such as Bobby Wellins and Iain Ballamy to performances with the likes of Aztec Camera, Katie Melua, Carleen Anderson and Nina Simone. A consummate musician Mark is one of the most respected pianists of his generation. Last seen here at the Club with Will Young, the Award winning Ben Castle's credentials as one of the finest sax and clarinet players on the scene are impeccable. After finishing a post grad jazz course at the Guildhall in the early 90's it wasn't long before his impressive and highly personalised playing was being heard with the likes of Radiohead, Blur, Stan Tracey, Amy Winehouse, Quincy Jones, Sting, Cleo Laine, Jools Holland and Jamie Cullum. Ben won the Rising Star accolade at the British Jazz Awards in 2001 as well as coming first in the jazz category of the International Songwriting Competition in 2003. Since that time he has gone from strength to strength as both a performer and composer. Now resident in Dublin his performances in the UK have become less frequent, so his appearance tonight with his great friend Mark is particularly exciting. The music puts the band's own spin and fresh arrangements on classic jazz standards, as well as a few pieces drawn from the outer edges of their collective eclectic influences and experiences. As Ben says "Mark and I have been playing together for over 25 years and…it’s a rare treat to play with this dream band of great friends and phenomenal musicians".